NutCracker 200 Registration is now OPEN! uckeye Dualsporters is proud to present the “NutCracker 200 2015″ Two days, two separate events all signing up at the same location. 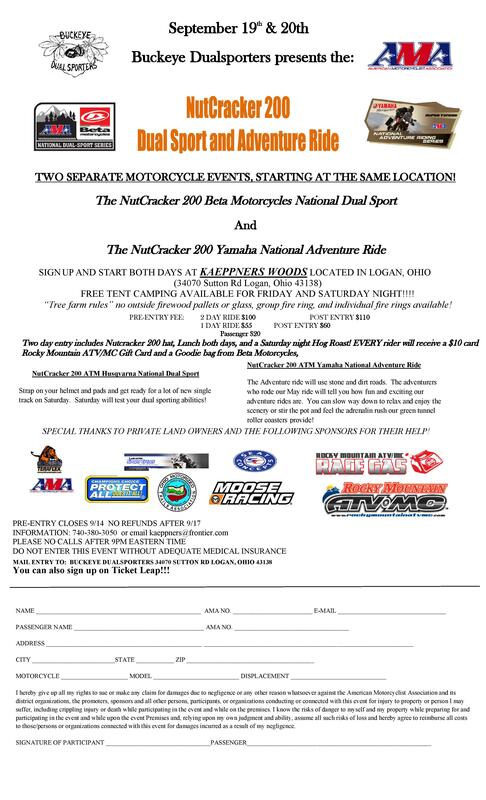 You can ride either the Beta Motorcycle and AMA National Dual Sport or the AMA and Yamaha National Adventure Ride! 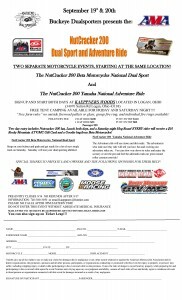 Want to mix it up a bit you can ride one day of each event! 1. Print, fill out and send in registration form above.